Dave Ramsey has a Thanksgiving special going on right now, and I assume it will go all this week. Along with his books, cds and dvds he also has really handy and nice looking envelope system wallets. If you haven’t taken the leap to using cash for things like gas and groceries, now is the chance. These are usually $24.95 but now they are only $10. 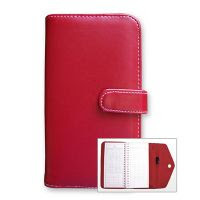 They come in different colors and there are also coordinating coupon organizers. (Though for you serious couponers, the organizers are way too small!) There are slots and compartments for everything and they have been locally tested by teething babies and have been found quite durable. Both Angela and I use the wallets and I can say that it truly does keep me from spending more. It is so much harder to see cash leave my wallet than it is to use my debit card. The Financial Peace Jr. kit is also included in the $10 sale. A great resource for those of you with older preschoolers & elementary kids. There are also several items Buy 10, Get 2 Free. Any of these items would be fantastic Christmas gifts. Shipping is free on orders of $65 or more. Even if you aren’t interested in using the envelope system, I would recommend visiting Dave’s Site to check out his thoughts and tools to living with financial peace. I’m so glad you posted this! My old envelope wallet is ripping and breaking all over the place, and I’ve been meaning to order a new one. So I just bought one identical to my old one and saved myself ten bucks!